A recent Advocate survey found 88% of gay men are open to or actively seeking a relationship. So where’s the best place for all of these singles to find one each other? Online dating, of course. But they don’t have to do all of the work on their own. 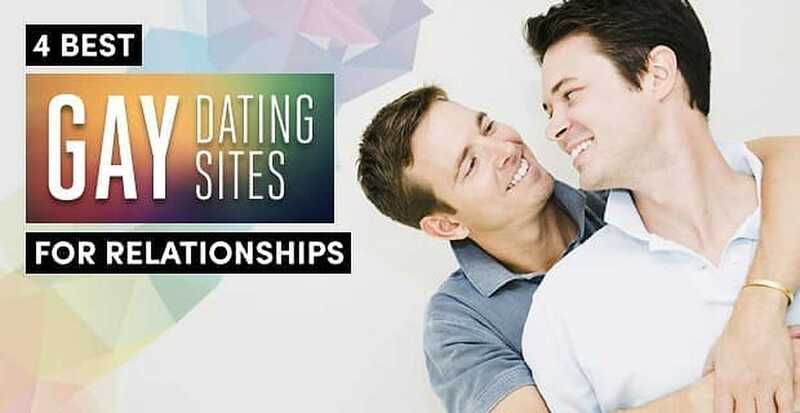 Our experts have done some of the heavy lifting by narrowing down the 4 Best Gay Dating Sites for Relationships. These fantastic sites have vase user bases with a focus on commitment, and they provide free trials so singles can test them out until they find the one that’s best for them. With more than 13.5 million visitors a month, not to mention 1 million paid gay members, not only is Match.com the largest dating site in the world, but it also boasts one of the largest and liveliest online gay dating communities. Besides a welcoming atmosphere, stellar reputation, and some of the coolest features around, Match has also led more people to more dates, relationships, and marriages than any other dating site in the industry, so try it free today. Elite Singles is particularly great for gay singles who are looking for a highly educated partner — as over 80% of the site’s members have a higher education degree (e.g., a bachelor’s, master’s, or doctorate). While Elite Singles appears to have a small user base (290,000 visitors a month), its success rate is very high. More than 2,5000 singles find love every month because of the site. Out of all the senior dating sites out there, OurTime is the best choice for gay singles over 50 who are looking for a meaningful relationship. From a vast and energetic user base (did we mention more than 1.4 million people go to the site each month?) to an easy-to-use layout, OurTime takes the complications out of gay senior dating. If you’re over 50 and new to online dating, you can try OurTime out for free here. Thanks to social media integration and a leading smartphone app, Zoosk is one of the most modern online dating sites you’ll find, making it a great option for young, sophisticated gay daters who are on the go. Out of 35+ million users and various communication channels, you’re sure to find that special someone to start an exclusive relationship with. Have doubts? Try Zoosk for free before fully committing.